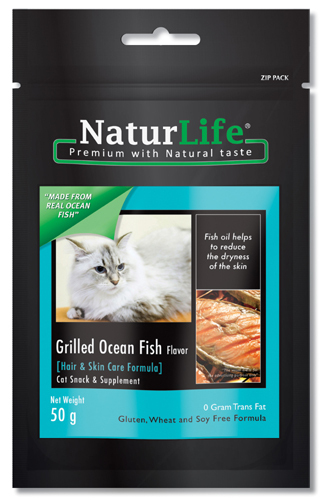 NaturLife® the premium pet snack contains thenatural Fish meat ingredients. Our Treats reward your pets, while improving orsupporting nutritional health and well-being of your pets especially those thatbeing fed with the low meat protein food. Delicious and nutritious NaturLife® pet snack can be fed to pets at anystage of life, from young to adult. NaturLife® realizes that health is the no.1priority when come to the diet, therefore created the snacks that safe andhealthy to pets by formulating the 0 gram trans fat, no Chicken, no Gluten, noWheat, no soy formula.